Our themes require that you have WordPress installed and running on a web hosting account. We recommend you use a host trusted by WordPress that has quality products and service. Many users ask us who we recommend and we have two companies to share with you. Please note that while we receive a small commission if you choose one of the companies below, our recommendation is based on the quality of their products and is not based on compensation. Bluehost offers a simple onboarding experience with pre-installs of WordPress, WooCommerce, our Storefront theme and dedicated IP and SSL to get you up and running fast. All backed by 24/7 support by in-house WordPress experts. Take advantage of this special discounted offer for WooCommerce users! 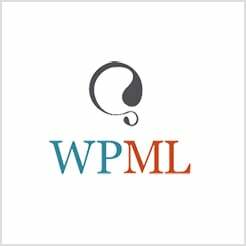 WP Engine is the leading Wordpress digital experience platform at the intersection of software innovation and service. They provide the perfect platform for brands to create remarkable sites and apps on Wordpress, that drive businesses forward faster.